Dr. Swithers even appeared on NPR's Science Friday last week. And many, many more. Her message reached millions. 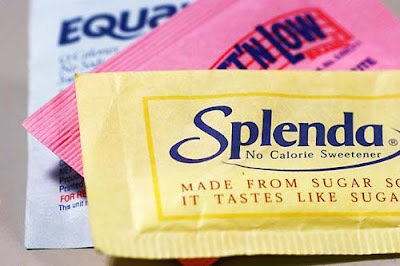 These news pieces were largely based on a press release from the journal publisher (Cell Press) titled "The dark side of artificial sweeteners". The press release and article argue that artificial sweeteners increase risk of obesity, diabetes, and metabolic syndrome (and therefore heart disease). It is true that some research associates artificial sweeteners with these outcomes, but it is also true that some research does not. With a look at the article, there are a number of mistakes and/or misleading things about it, and it does not reflect all the evidence. Below I review the article's sections on artificial sweeteners and obesity, diabetes, metabolic syndrome, and heart disease. Dr. Swithers and others have done interesting neuroscientific rodent work with artificial sweeteners which is the second half of her article which I do not review here. This was not a systematic review of all research. In fact, the oldest paper on artificial sweeteners cited was published in 2007. There are a lot of studies published prior to 2007 on this topic. All of the cited studies were trying to support a view that artificial sweeteners are harmful, and all studies suggesting artificial sweeteners have no relationship with disease were ignored as you can see below. Strangely, these are not the fault of Dr. Swithers, but the requirements of the journal: "Opinions should present a personal viewpoint on a research-related topic, rather than a balanced review of this topic." They also note that you should not cite meta-analyses, and there is a reference limit. So to summarize - the journal specifically requests non-balanced articles of only recent research, then puts out hyped press releases without saying this, and as a consequence, frightens millions of people. To me, scientific "opinions" should be based on a dispassionate analysis of the whole relevant evidence-base, whereas this is simply irresponsible, and it should change. Swithers cites 2 observational studies that purportedly show a relationship between artificial sweeteners and weight gain. The first made no statistical adjustments for any dietary variables. The second found a cross-sectional relationship but not a longitudinal relationship, the latter being a stronger study design. There are stronger designs not cited (for example Mozaffarian et al. (2011) and de Koning et al. (2011)) that found associations between lower weight and higher artificially sweetened beverage intake. A review not cited Anderson et al. (2012) concludes "there is no evidence that low-calorie sweeteners can be claimed to be a cause of higher body weights in adults." Next Swithers discusses observational studies associating artificial sweeteners with metabolic syndrome, citing 4 studies. The first I blogged about and I would not say it shows there is an association. The other 3 did find positive associations between diet soda and metabolic syndrome, but all of the papers caution about interpretation and suggest that diet soda could be a marker of poor diet/lifestyle habits or be the result of associations with other dietary variables. Diabetics consume 3 times more diet soda per day than non-diabetics (Mackenzie et al. (2006)), so it may be that many of these associations are simply the result of people with new disease diagnoses switching to diet soda, rather than diet soda promoting disease. The first study that Swithers cites to support an association between artificial sweeteners and diabetes actually showed no associations after all statistical adjustments. This is incorrectly described in the article. In the second study cited, Swithers discussed only 1 of 2 cohorts within the study and ignored the other (which found no association). The third citation is the only one that appears correctly described. This last study is cited as supporting a positive association between at least 1 artificially sweetened beverage per day and diabetes, but there was no overall relationship with full statistical adjustments. Swithers then notes that in participants of normal weight at baseline there was a positive association, however she doesn't note that there was no relationship in those with overweight or obesity. Finally, 4 studies are cited that purportedly associate artificial sweeteners with hypertension and cardiovascular disease. For the first and second, Swithers notes a positive association in the "age-adjusted model" but doesn't note that there is no longer an association all statistical adjustments are made. The third does support a positive association, and indeed in 3 large cohorts. But we don't have good reason for why this is. The last one I also blogged about here, which paradoxically found that sugar-sweetened beverages do not increase heart attack and stroke risk but artificially-sweetened beverages do. This study has a small number of participants and therefore a small number of cardiovascular events in each group and therefore I am not sure it is appropriate to draw conclusions without more studies. Swithers only looks at human trials in the past 5 years (2 of them). The first suggests that children consuming artificial sweeteners don't gain as much weight as those drinking sugary beverages, but there is no water group so it is dismissed. The second is oversimplified and therefore misrepresented, as there were some beneficial effects from using diet drinks compared to water. Swithers does not cite a meta-analysis (because the journal requirements wouldn't let her anyway) by de la Hunty and colleagues (2006) of short-term human trials that suggests substitution of sugar with aspartame/other sweeteners reduces total calories. When all evidence is considered, it is a much more nuanced story. In my opinion, the evidence is weighted toward artificial sweeteners being fine. I would recommend the scientific statement by the American Heart Association and the American Diabetes Association published last year for a good review of human research on the subject. We do need more long-term human studies on metabolic outcomes and weight, but it seems like substituting sugar with artificial sweeteners does generally result in a small reduction in calorie intake. 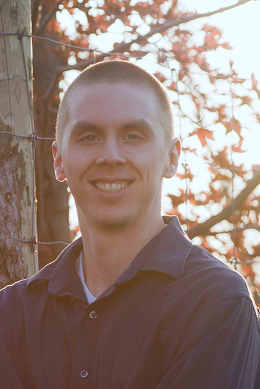 Colby Vorland is a nutritional science graduate student. He blogs about various research topics in nutrition at http://www.nutsci.org and is on Twitter @nutsci.